Your kitchen may be the heart and soul of your home, but you want to enjoy the good things of life elsewhere too – wine in the study, chilled drinks in the media or exercise room. 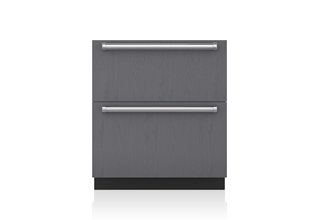 These conveniently slim appliances fit in anywhere in your home, and perfectly suit the way you live today. 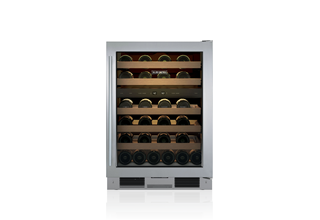 Sub-Zero freestanding wine storage fits in anywhere, holds up to 46 bottles, and has two individually controlled storage zones so you can store both whites and reds at the perfect, ready-to-serve temperature. Media room, fitness center – plenty of places where you might enjoy frozen treats or cold drinks and snacks from a Sub-Zero refrigerator/freezer drawer. It adds a luxurious touch in the bathroom, keeping towels toasty warm. Handy for football Saturdays too, keeping pizza and appetizers warm in the media room all game long.